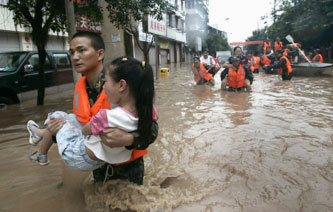 In 2008 nearly 235,000 people died because of natural disasters and more than 214 million others were directly affected. News media play a basic role in giving publicity to these numerous instances of global suffering as it is mainly through media reports that the world perceives international crises. Drawing upon theories on distant suffering and foreign news reporting, this research project investigates the mediated representation of international crises by Flemish news media, with a focus on natural and technological disasters. To study the news reporting on disasters and global suffering, we have applied a number of quantitative and qualitative research techniques. A first part deals with the broader framework of disaster coverage and explores the nature of international news reporting (print and television) in Flanders by using quantitative content analysis. Secondly, we investigate the selection process by looking into the criteria used by print journalists to select or neglect a disaster. This quantitative content analysis revealed a selective inaccuracy as only 29.2% of all natural and technological disasters were considered to be newsworthy. Especially crises in the peripheral South were struggling to get attention. Applying critical discourse analysis, a third part of the project explores how discourses of hierarchy and inequality are realised in news texts about distant suffering. The comparative analysis of television items revealed glaring differences that reflect global hierarchies of place and human life. A final part attempts to link evidence from theory and empirical data with insights and experiences of journalists and communication managers of NGOs.